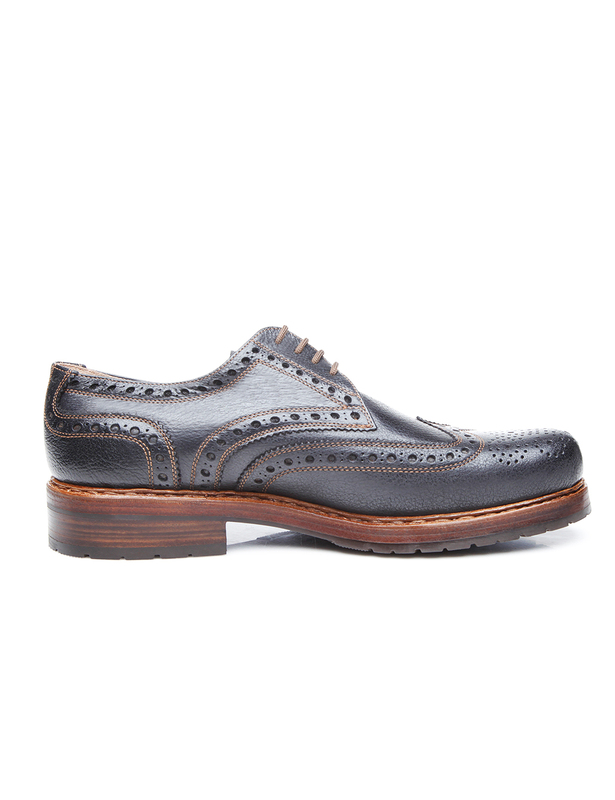 Water Buffalo & Soft Calf An unusual combination of satiny matt calfskin and sturdy water buffalo defines the unique look of this special men’s shoe. 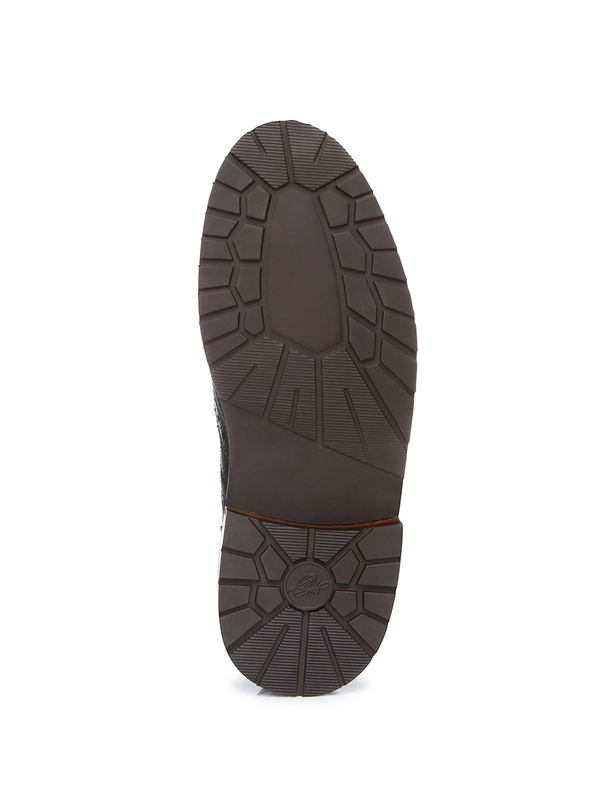 Triple Sole with Rubber Lug Tread Two flexible leather midsoles and a water-repellent outsole with a rubber lug tread guarantee unique durability, comfort and lasting quality — perfect for cold, wet conditions. 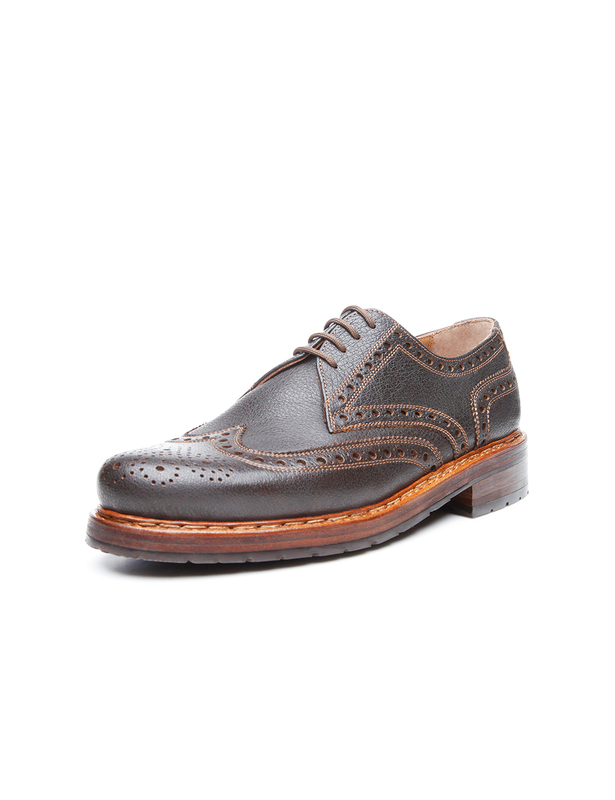 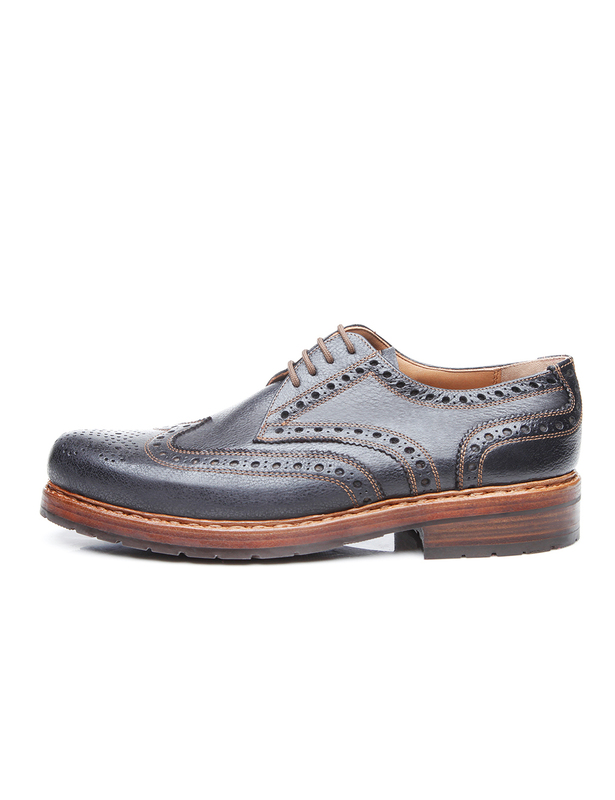 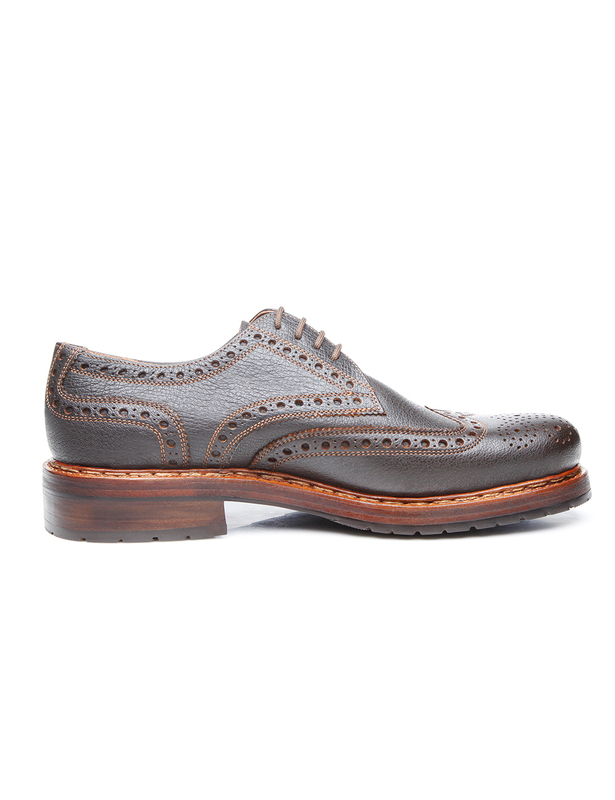 Alluring full-brogue Derby with open four-eyelet lacing and opulent Lyra perforation: this distinct water buffalo leather ranks among the most durable leathers in the world and inspires with its well-structured texture. 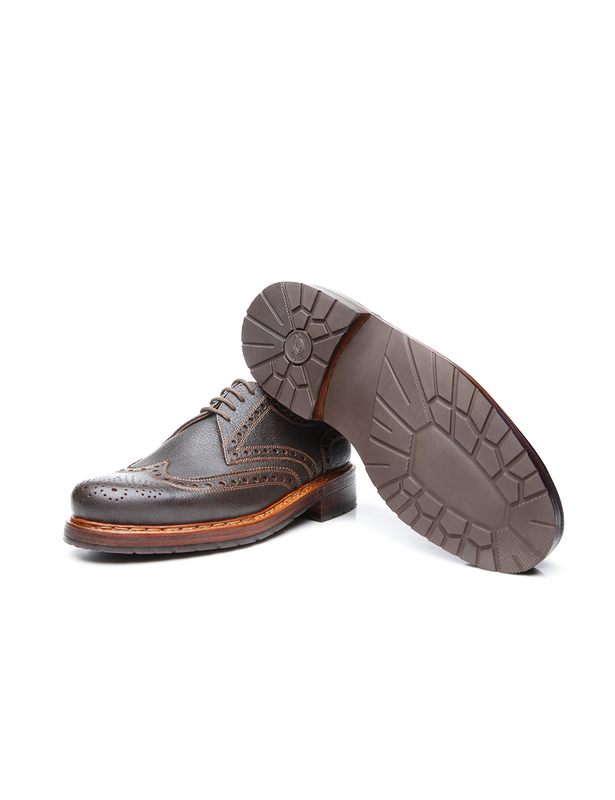 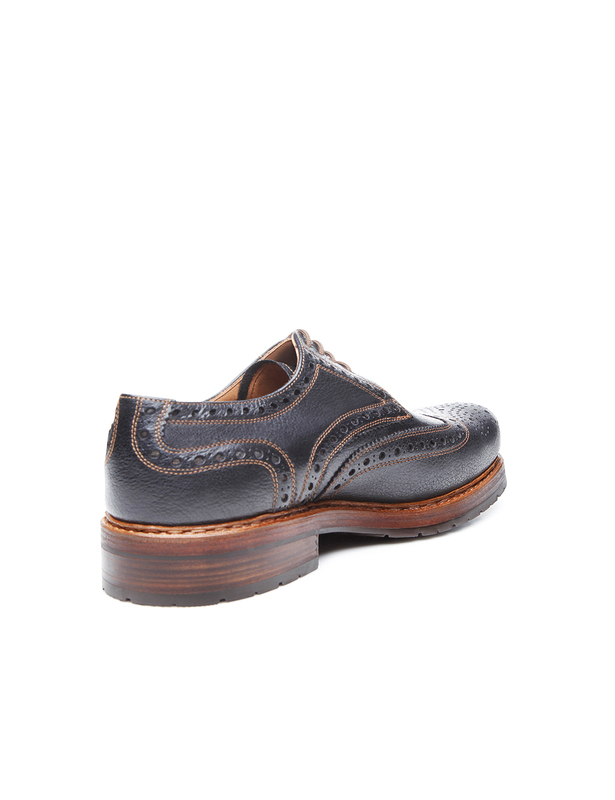 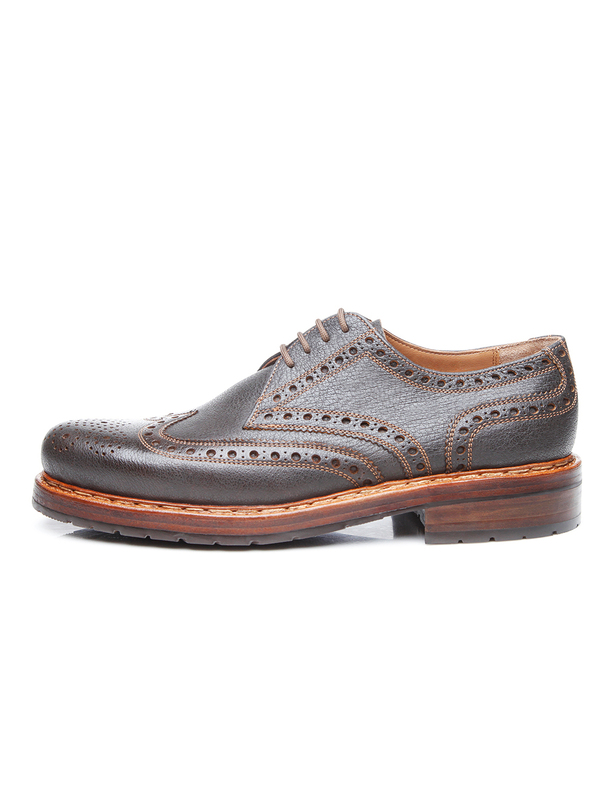 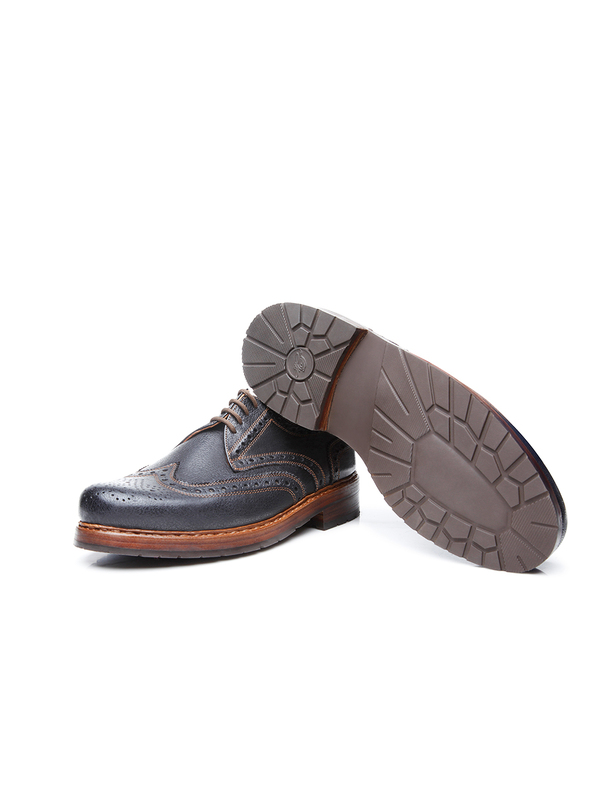 Still, this first-class leather upper stands out due to its soft feel and exceptional suppleness. 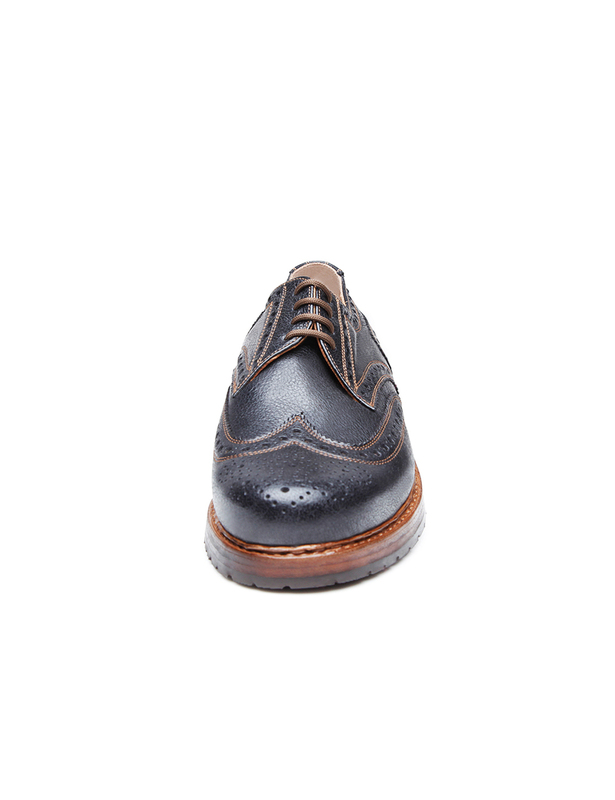 Furthermore, water buffalo leather develops a vivid patina over time. 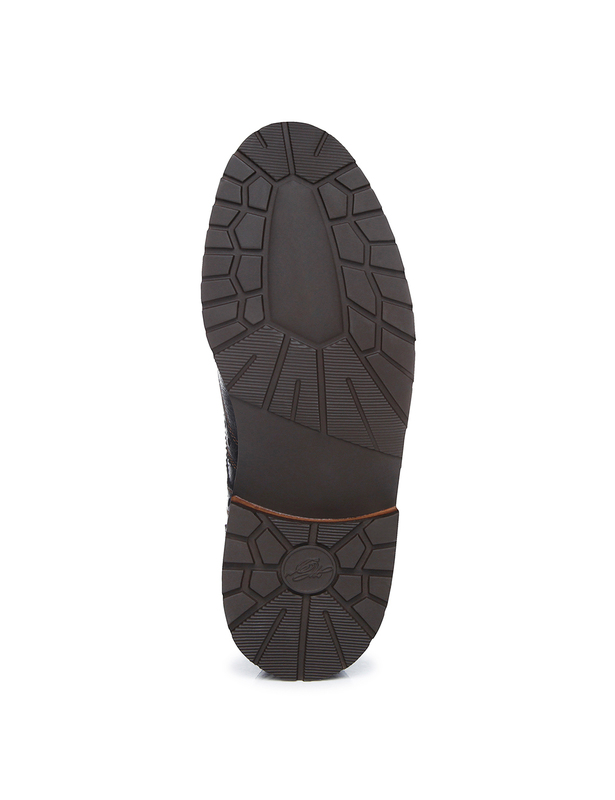 Further characteristics of this double-stitched classic shoe are the traditional Rio last and the elaborately sewn triple sole, in addition to the abrasion-resistant rubber lug profile. 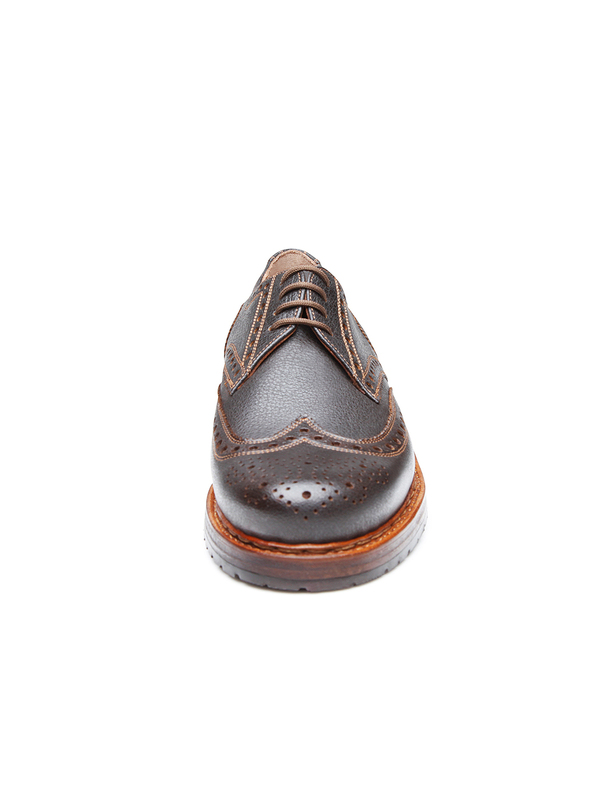 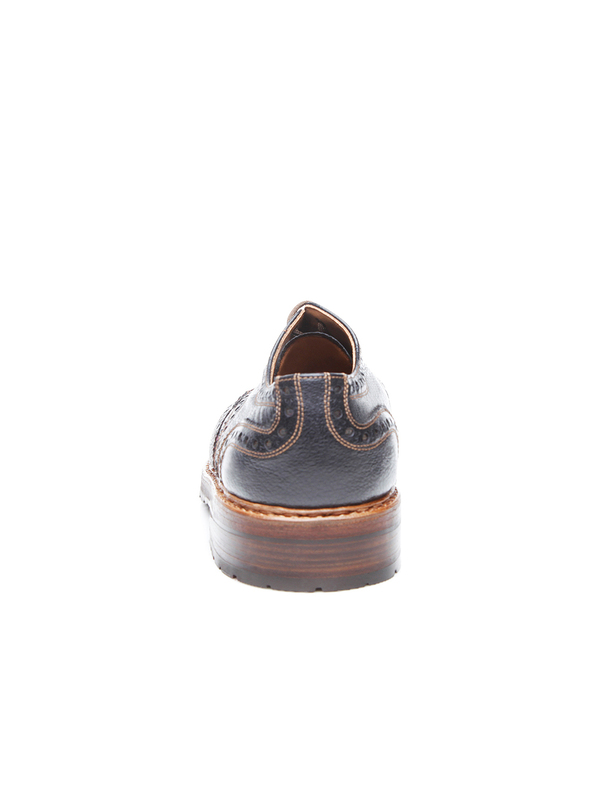 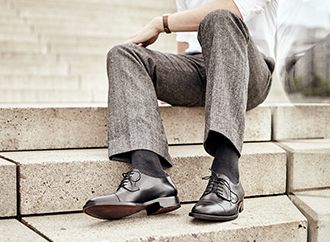 This handcrafted men’s shoe is the personification of Hungarian craftsmanship. 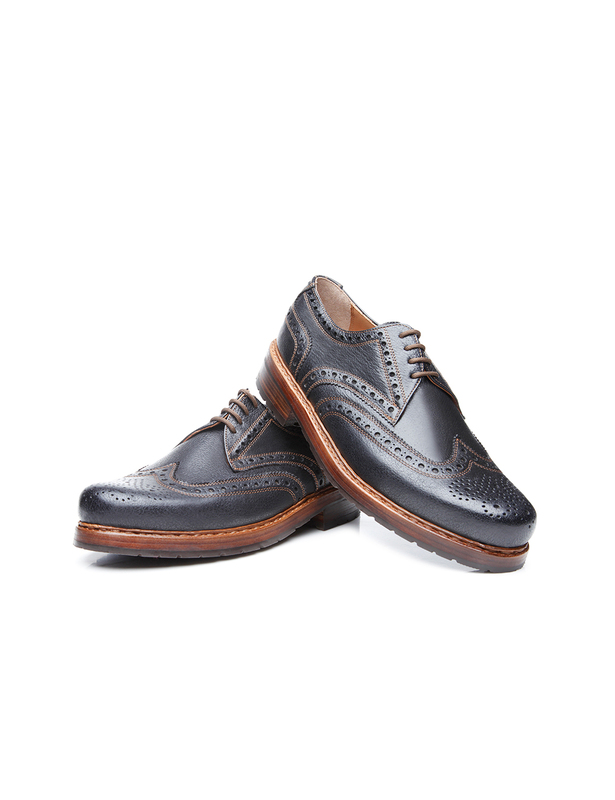 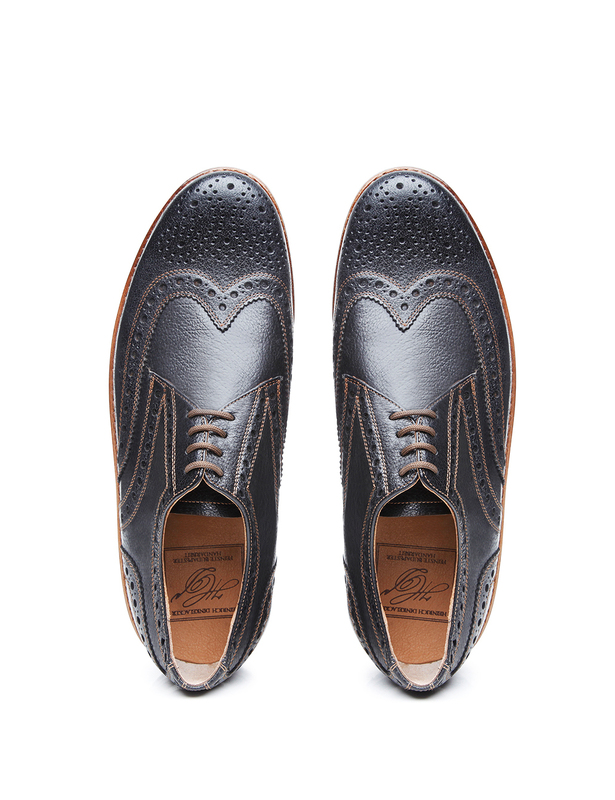 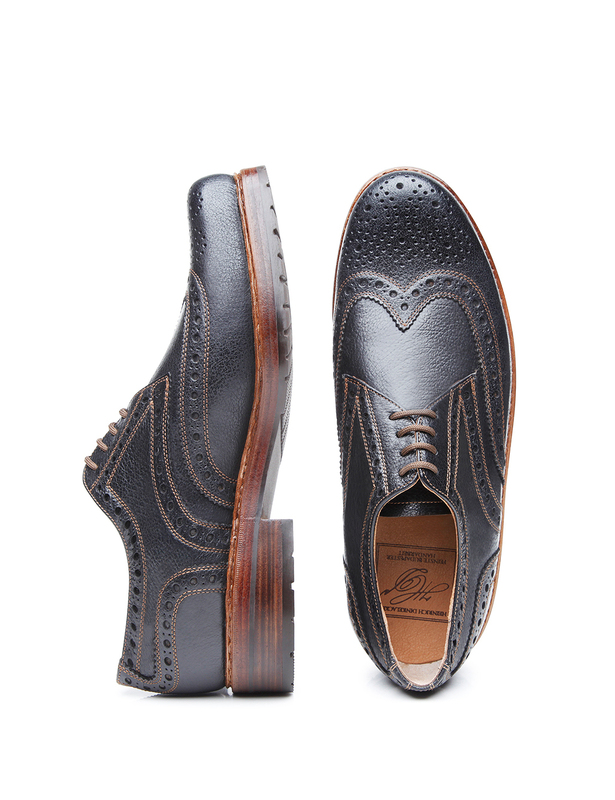 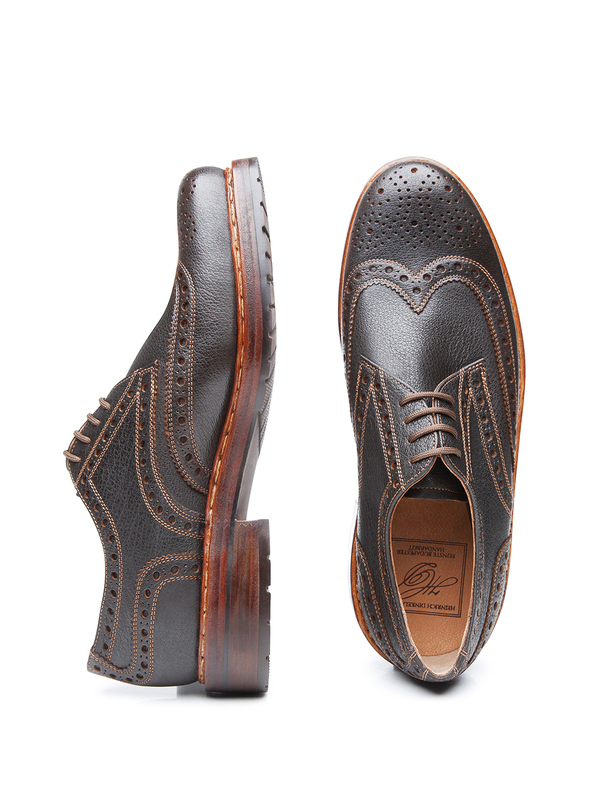 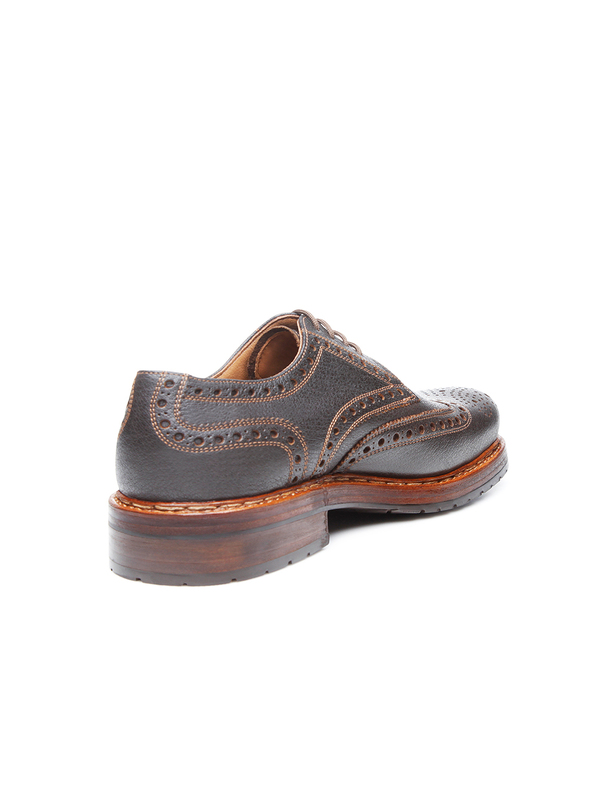 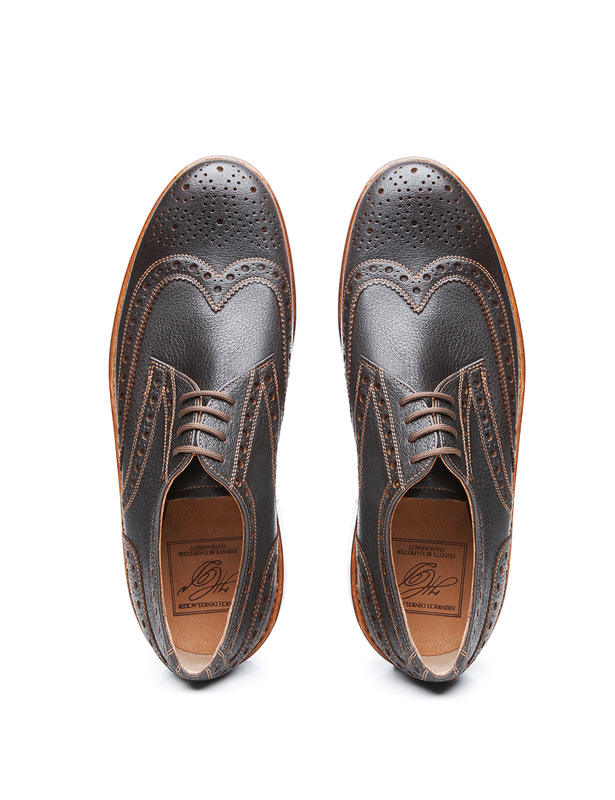 The Full-Brogue Derby is available in dark brown and black.